Many of the contingencies identified in previous surveys remain concerns for 2018. Of the thirty identified this year, twenty-two were considered risks last year. Among the eight new contingencies in this year's survey are the risks of intensified clashes between Israel and Hezbollah, increased violence and political instability in the Sahel region of Africa, and escalating tensions or extremist violence in the Balkans. Two contingencies were upgraded to the top tier this year: an armed confrontation between Iran and the United States or one of its allies, and an armed confrontation over disputed maritime areas in the South China Sea between China and one or more Southeast Asian claimants. The 2018 survey downgraded the priority rankings of two contingencies, compared to last year: the intensification of violence between Turkey and various Kurdish armed groups within Turkey and neighboring countries, and the probability of greater violence in Libya. In the night of December 19, 2017, at around 11 pm, an armed squad of about 15 Communist Party of India-Maoist (CPI-Maoist) cadres, including some women, carried out an attack at the Masudan Railway Station in the Jamalpur area of Monghyr District, Bihar. The Maoists set ablaze station property, including the signaling panel, hampering rail services, and abducted two railway employees present at the station - Assistant Station Master [ASM] Mukesh Paswan and porter Narendra Mandal. Though the movement of trains was restored after the fire was doused at around 5:30am, it had to be suspended again at 6:40am following a phone call, reportedly from the Maoists, threatening to kill the captives if traffic was not stopped. An unnamed railway official stated, “Assistant station master Mukesh Paswan and porter Narendra Mandal at Masudan were held captive and taken away to some undisclosed location at about 11:30pm. The panic-stricken ASM called the Malda [West Bengal] DRM [Divisional Regional Manger] to inform that the Maoists had threatened to kill them if the movement of trains continued [on Masudan track].” After the State Police and Central Reserve Police Force (CRPF) launched a joint search operation, the Maoists released the two men in a hilly area at Jamalpur. Train services were restored thereafter. Interestingly, there was no force deployment at the station, which falls within a Maoist-affected region, even when the Maoists had called for a 24-hour Bihar and Jharkhand bandh (shut down) on December 20, 2017, protesting police action against their (Maoist) cadres. As Pakistan prepares for general elections, its Army is working to bring terrorist and radical religious groups into the political mainstream. Its leisurely response to recent anti-blasphemy protests by the Tehreek Labaik Ya Rasool group and release of terrorist mastermind Hafiz Saeed are a part of this strategy. Pakistan has just been through another round of ‘sit-in’ protests, led by the Barelvi group, Tehreek Labaik Ya Rasool Allah (TLY): its demand was the revocation of an allegedly blasphemous amendment in the Election Act 2017 that was perceived to be questioning the finality of the prophethood. The authorities’ and the military’s reluctance to take on the protesters showed a strong possibility of collusion between the Pakistani Army and radical religious groups. It’s time for the United States to take note of some realities in Pakistan. U.S. Vice President Mike Pence, during his recent surprise visit to Afghanistan, had sharp words for Pakistan. He not only accused Pakistan of providing safe haven to terrorists operating in Afghanistan, but also said that “President Trump has put Pakistan on notice” and “those days are over” when Islamabad can provide sanctuaries to militants in the country. 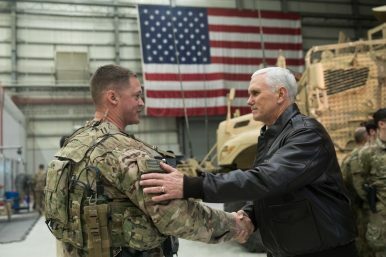 Arguably, Pence’s statement directly threatening Pakistan of dire consequences unless the country changes its policy of allegedly sheltering terrorist organizations is perhaps the most serious warning that any U.S. regime has given to Pakistan since the September 11, 2001, terrorist attacks. China and Pakistan will look at extending their $57 billion China-Pakistan Economic Corridor to Afghanistan, Chinese Foreign Minister Wang Yi said on Tuesday, part of China's ambitious Belt and Road plan linking China with Asia, Europe and beyond. China has tried to position itself as a helpful party to promote talks between Pakistan and Afghanistan, both uneasy neighbours ever since Pakistan's independence in 1947. Economists Walter Enders and Todd Sandler defined terrorism as the premeditated use of or threat to use violence by individuals or subnational groups to obtain a political or social objective through the intimidation of a large audience beyond that of the immediate victims. Central to this definition is the widespread sense of vulnerability that individuals or businesses in a venue nation - a country where the violence occurs - must feel. Russia rarely comes up when Western analysts talk about Southern Asia. Sure, there was that war in Afghanistan, but the Soviet Union withdrew its forces nearly two decades ago. How is it then, that we’re hearing lately about Moscow talking to its erstwhile enemy, the Taliban, and holding military exerciseswith Pakistan, all while maintaining its role as India’s biggest arms supplier? What’s happened and who, if anyone, should worry? It’s getting harder to sustain a reasonable discourse about North Korea. The political left keeps resorting to pacifist tropes about diplomacy being the only solution or the United States being the problem, but without advancing any theory of the case. In what universe will sitting down with a nuclear state and saying some special configuration of words convince them to give up what they equate with their survival? Diplomats are not wizards. The president of Maldives, Abdulla Yameen, couldn’t have asked for anything more from his Beijing visit that turned into a love-fest. The president of the tiny archipelago, which has 4,39,000 people, got red-carpet treatment from the moment he set foot in China’s capital — including a ceremonial meeting with President Xi Jinping at the Great Hall of the People. A thousand-page free trade agreement signed in China was rubber-stamped through the Maldives parliament soon afterwards. Ni hao! Welcome to Eye on China, a weekly bulletin offering news and analysis related to the Middle Kingdom. From North Korea’s nuclear tests to global refugee flows, the rise or fall in numbers signals where the world may be headed in 2018. To help visualize what’s on the horizon, CFR editors asked ten of our experts to highlight the charts and graphs to keep an eye on in the coming year. Balkan economies made real progress in 2017 but media freedom ebbed in some countries, and the region remained hostage to East-West rivalry for influence. As 2017 draws to a close, most inhabitants of the Balkans could afford to raise a glass to a year that brought the region saw some economic benefits and saw no major conflicts between any states in Europe’s still fractured and potentially neuralgic southeast corner. Moreover, as Britain advanced its preparations to exit the EU, the first country to do so, interest grew into which of the five EU candidate countries – four in the Balkans – would be the first to take Britain’s vacant place. The EU has seemingly survived the existential crises of the Brexit vote, the ascent of Donald Trump, and the rise of the far right across the continent. But the union and its international influence remain fragile. The populist wave may have peaked, but it has certainly not passed; refugee deals with Turkey and Libya are under threat, and the southern and eastern neighbourhoods remain turbulent. Against this backdrop, we asked our national offices to outline their governments' greatest hope and greatest fear for foreign and European policy in 2018. British Prime Minister Theresa May visited Warsaw to sign a new defense treaty between Britain and Poland. May called the deal a “powerful symbol” of the two countries’ close cooperation; however, the agreement speaks less to the cooperation between the two countries and more to Europe’s slow regression to pre-EU realities through the fragmentation of the European Union. Foreign service officers like me saw ourselves as guardians of this vital alliance. But Trump isn't interested in leading it or writing its next chapter. The Trump administration’s newly unveiled national security strategy lists reinforcing America’s alliances as a major objective. Yet in the first year of his embattled presidency, Donald Trump has so undermined our ties to Europe that we could be on the verge of a break in the seven-decade trans-Atlantic alliance. Yet another anniversary of the November 26, 2008 terror attacks on multiple targets in Mumbai has come and gone. 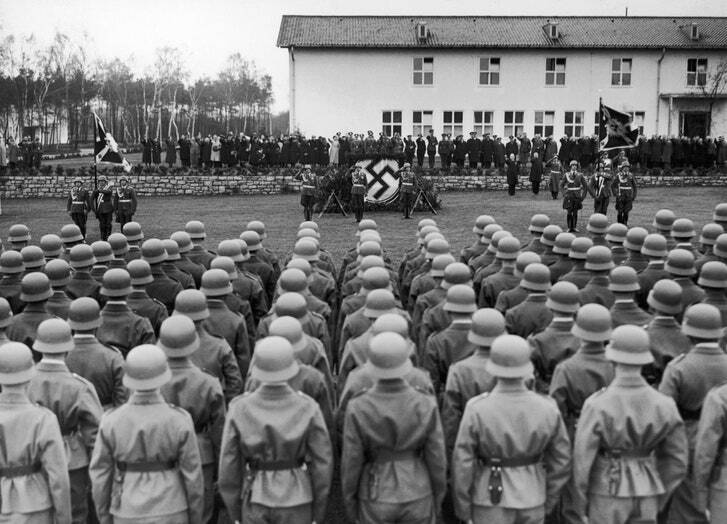 Much has changed since then and terror has evolved into an even more dangerous phenomenon. Recent variants represent a paradigmatic change in the practice of violence. 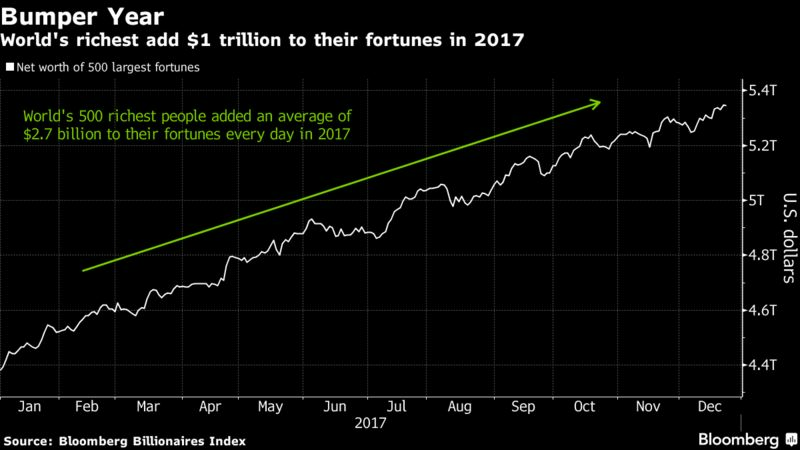 The richest people on earth became $1 trillion richer in 2017, more than four times last year’s gain, as stock markets shrugged off economic, social and political divisions to reach record highs. The 23 percent increase on the Bloomberg Billionaires Index, a daily ranking of the world’s 500 richest people, compares with an almost 20 percent increase for both the MSCI World Index and Standard & Poor’s 500 Index. After eight years at Foreign Policy, here are the ten most popular Best Defense posts. U.S. Army Gen. Stanley A. McChrystal, commander of NATO’s International Security Assistance Force and U.S. Forces-Afghanistan arrives at Combat Outpost Sharp in the Garmsir District. Next month, this column will be moving to another platform. But before we go, in celebration of eight happy and productive years at Foreign Policy, here are the most popular items ever to run on the Best Defense. Malicious software attacked a safety system in August at Saudi Aramco, the world’s largest oil company, in what is the first-ever example of malware targeting the computer systems designed to prevent a disaster at an industrial facility. The attack was first described by the computer security firm FireEye in a blog post last week, which did not name the victim of the attack. But a confidential report obtained by Foreign Policy and authored by Area 1 Security, a computer security firm founded by veterans of the U.S. National Security Agency, identifies Aramco as the victim of the attack. To stay ahead of competing ports and technological developments, automation has been heralded as inevitable. Major transshipment hubs and aspiring ports bet their future on automation, which raises the impact cyber risks could have in the long-run. 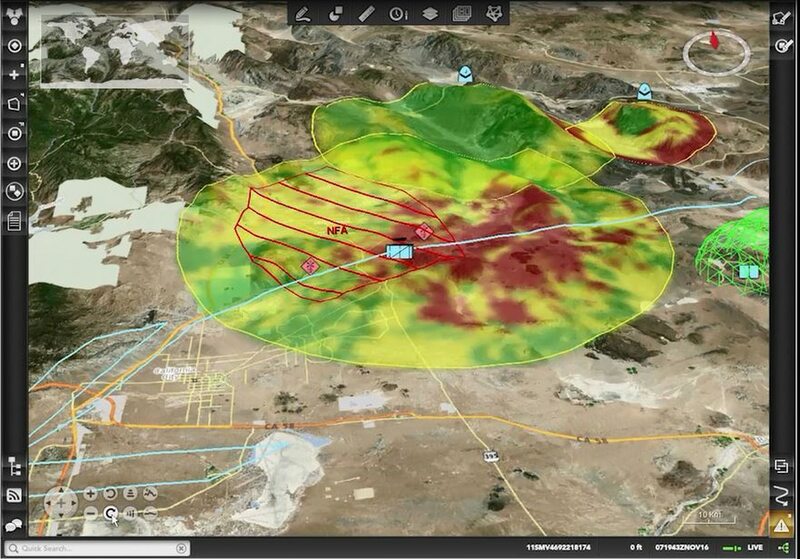 The Electronic Warfare Planning and Management Tool is a command-and-control planning capability that allows commanders and soldiers to visualize what the effects of electronic warfare will look like on a screen. The effects of kinetic weapons, such as hand grenades, are widely understood. For nonkinetic effects, such as cyber or electronic jamming, it’s much more difficult to visualize their effects, making planning and employment more unpredictable and in some cases less likely. The Air Force are the RAND Corporation are working to address this difficulty in characterizing impact. How Should International Law Treat Cyberattacks like WannaCry? North Korea was behind the infamous WannaCry cyberattack, asserted homeland security adviser Thomas P. Bossert in a Dec. 18 op-ed in the Wall Street Journal that echoes the CIA’s previously classified assessment and British government statements. And the United States, Bossert insists, will hold bad actors accountable—in this case, for the billions of dollars in harm caused by this widespread and indiscriminate ransomware attack. He cites as precedent the U.S. government actions taken against Russian, Iranian and Chinese hackers. The news in the defense community in 2017 largely revolved around three international conflicts: North Korea’s attempts to become a nuclear power, the fight against the Islamic State and attacks in Syria. The satellite imagery company DigitalGlobe captured events from each of these struggles and released them to selected media outlets for the end of the year. 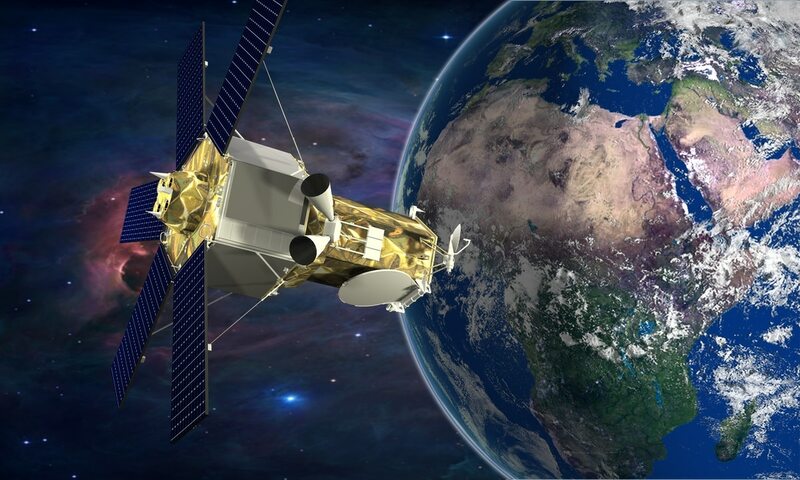 While satellite imagery can feel novel at times, high-resolution imagery has become a critical asset for military and intelligence agencies.